Kerala Chief Minister Pinarayi Vijayan has a nickname that his loyalists widely use when referring to him: Erattachankan, which means “twin-hearted”. They are, of course, using this to refer to his doggedness and raw energy in steadfastly pursuing a particular agenda. But, in contrast with this popular image, he seems to develop weak knees when he finds himself pitted against the mighty churches. He proved this, yet again, when the various denominations of the churches closed ranks to confront his government’s move to bring a draft bill called the Kerala Church (Properties and Institutions) Bill, 2019. The draft notification says the Bill is intended to facilitate the faithful to bring acts of financial fraud and alienation of church properties under the scanner of a competent authority. But church groups are opposing the proposal, alleging that the government is attempting to take over the administration of churches on similar lines to the Travancore Cochin Hindu Religious Institutions Act. All it took was an exhortation from church leaders to get the chief minister to make a climbdown and openly declare that his government had no intention to implement the Bill. With the Lok Sabha elections looming large and the CPI(M) already earning the wrath of the majority of the Hindu community for its obstinacy on the Sabari­­m­ala issue, the government seems to have decided that discretion is the better part of valour. “The LDF government has no plans to go ahead with the proposed Bill,” said CPI(M) state secretary Kodieyri Balakrishnan. The government’s move to introduce the Bill was taken in the backdrop of allegations of financial irregularities and a long-drawn legal battle involving the Syro Malabar Church leadership and its laity over the sale of church properties worth crores of rupees under the leadership of Cardinal George Alencherry. The Bill, at the outset, reiterated that under Article 26(d) of the Constitution, every religious denomination or section can administer its properties in keeping with the law. However, at present, there is no law relating to administration of the properties of different denominations. 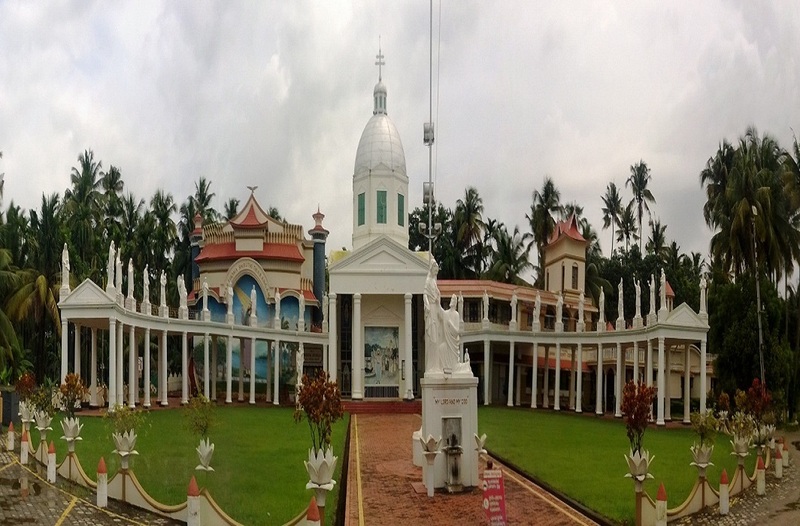 “The Churches in Kerala have vast properties and assets acquired through various sources. The properties are managed by the bishops or other heads of each denomination and the parishes. There are instances in which Church properties are alienated, mortgaged or leased out without any consultation at proper forums resulting in financial loss to the Churches,” the introduction to the Bill said. There is also no mechanism to prevent “arbitrary transfers of Church property”. As a result, the faithful have no forum to complain against arbitrary transfers or misuse of church funds. “The government feels it proper to enact a law regulating such activities. Hence this Bill,” sources told India Legal. At present, the administration of the properties of churches is carried out under canon law. Each church denomination has vast properties and assets, like hospitals, schools, professional medical and engineering colleges, thousands of acres of plantations and real estate properties in India and even abroad besides churches of archaeological value. These are managed by church heads or bishops. In the recent past, how­­ever, there have been many property related tussles and legal battles among various churches in the state. As such, the Bill provided that any church member can file a petition related to the administration of church properties or mismanagement of funds before a tribunal headed by a district judge. And the accounts of every church denomination were to be subjected to annual audit by a qualified chartered accountant (CA), or a team of CAs selected by the denomination concerned. While Varghese Vallikkattu, deputy secretary-general of the Kerala Catholic Bishops Council (KCBC), criticised the draft law as an attempt to tarnish the church’s image in the public eye, George Joseph, chairman of the All-Kerala Church Action Council, an outfit fighting for reformation in the churches, said the churches were objecting to the Bill as they were afraid of audit by a competent authority. Incidentally, in 2009, a law reforms commission headed by eminent jurist and former Supreme Court judge VR Krishna Iyer had submitted a similar draft of a law before the government, which was even placed before an Assembly committee. But the then government, headed by VS Achuthanandan, had chosen not to act on it. The current Kerala law reforms commission is also headed by an eminent jurist and former apex court judge, KT Thomas. The draft prepared under his supervision also has takers among various church denominations like the Church of South India and Mar Thoma Churches. Many of the faithful believe that once the Bill is implemented, it would help avoid corruption and nepotism and even curb incidents of sexual harassment of nuns by priests. Several progressive and reformist groups in the churches are calling for its implementation to check the trend of properties being alienated without consultation at proper forums, resulting in financial losses. But the Catholic Congress, an affiliate of the Syro Malabar Church laity, is of the view that the proposed Bill is part of the Left’s agenda to take control of Christian-owned institutions and businesses. Justice Thomas, who prepared the current Bill, said it was just a plan put forth by the commission. “We have published the proposed draft Bill on our website to let the people be in­formed and to evaluate their feedback,” he said. That the government is succumbing to pressure from the Catholic Church comes as no surprise as the organised church and its financial might has always deterred any government which has attempted to loosen their grip over the education and health sectors and other institutions of excellence. Whenever the Left government has tried to bring about changes it has faced protest from the churches, resulting in political turmoil, even leading to the ouster of a government, as happened in 1959 when the “liberation struggle” supported by the church had resulted in the sacking of the EMS Namboothiripad government—the first elected communist government anywhere in the world. Attempts to bring about educational reforms have also faced protest from the churches who, citing minority rights, repeatedly continue to deny minimum wages to the teachers and non-teachers in their institutions despite their past record of championing the cause of education under foreign missionaries. In the era of self-financing professional colleges, the Christian managements continue to take their own decisions on fixing fees, admission criteria, and so on. This, in turn, has led to court cases entangling them in long-drawn litigation. In the pre-election mood, the government may have put the Bill on the backburner, but those familiar with the chief minister’s tenacity and perseverance believe that once the electoral dust is settled, it will be back on his agenda. Previous storyWhose forest is it, anyway?